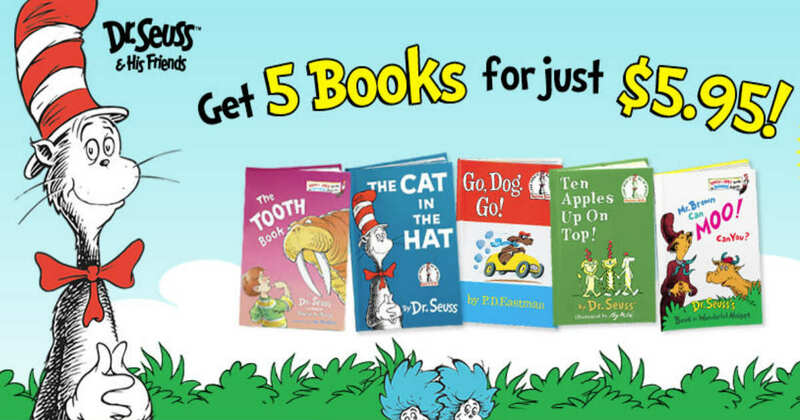 Score 5 Dr. Seuss Classic Books + Dr Seuss activity book and growth chart for ONLY $5.95 and FREE Shipping! Plus, look for a pop-up for a Free bookbag to be added to your cart, a promo to Celebrate Dr. Seuss's birthday! This is a great price since each Dr. Seuss book sells for over $6 on Amazon. This book set makes for a great gift! Dr. Seuss books mastered the repetition of sound throughout his stories, which makes his books perfect for beginner readers learning to connect sounds and letters to form words and sentences. Use promo code BIRTHDAY for the extra free activity growth chart. You will be enrolled in the Dr. Seuss Book club but you can Cancel at ANYTIME! Future books would ship out for $6 each.